Education: Oxford University, A.B. in Psychology, 1982. Quantico Training Academy, 1984. Raised in New England, Special Agent Fox Mulder's endeavors into the paranormal began at age twelve when his sister vanished without a trace when she was only eight. In attempts to put her out of his mind, Mulder worked hard and graduated at the top of class at Oxford University with a degree in Psychology. He was later recruited by the Federal Bureau of Investigation and graduated at the top of his class at the academy. His graduation was highly anticipated due to his keen mind's ability to see into serial killers and upon entrance into the bureau, Mulder began developing profiles that helped catch some of the most prominent killers of the 1980s. In the early nineties, Mulder stumbled across The X-Files, which appeared to be nothing more than a garbage heap for alien abductions, Bigfoot sightings and such. He, however, was fascinated by what he saw, finally finding an outlet for what might have happened to his sister so many years earlier. 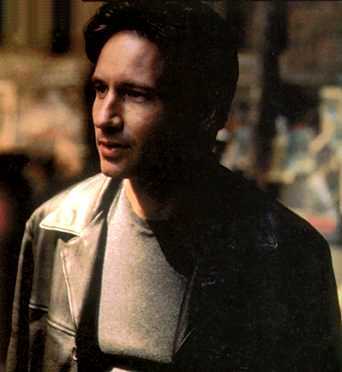 When he switched his focus to the paranormal, Mulder faced many attempts to shut he and his X-Files down, yet making some Congressional connections allowed him some freedoms within the FBI. As a result of working on the X-Files, Mulder was became a laughingstock to his peers and his once brilliant career a mockery of the bureau. He buried himself into his work and was kept in the bowels of the FBI in the basement to chase his demons. Mulder acquired two partners during his search of the "truth," both of whom left to pursue their own careers. He only found true partnership in a young pathologist and teacher from Quantico, Special Agent Dana Scully. Following his partnership to Special Agent Dana Scully, Mulder was driven to find an explanation for his sister's disappearance and uncover the special secret the government has been planning for half a century.